Guardian Pool Care is honored to work with local realtors and property management companies. We offer the same great service and results as we do with all our other services. Give us a call and start enjoying your pool again! Guardian Pool Care specializes in providing temporary or full time services for realtors looking for pool and spa service, repair, maintenance and equipment installation for in-ground pools. We are experts in fast turnaround pool cleanouts, green-to-clean restorations, acid washes, chlorine baths, pump/motor replacement, electrical issues, filter cleanings or equipment repair & replacement. Management companies need a consistent resource that is affordable and dependable as well as a company that looks out for your interests as well as your client. Guardian Pool Care has the experience and proven track record you need. We understand your need for a trusted and professional partner in the pool business who understands your needs and those of your client. With specialized pricing and professional service, let us be your partner in the pool business. New owner orientations. We will walk the new owner through all systems and procedures and familiarize them with the specifics of the pool equipment in their new home. 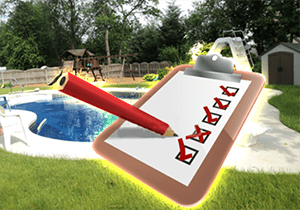 Complete pool inspections with written, documented reports to realtors and homeowners.